In their first match together in five months, Best Friends (Beretta and Chuckie T) face the rugged duo of Bully Ray and Silas Young; Women of Honor Champion Sumie Sakai defends her title against Madison Rayne; Josh Woods and Shane Taylor renew their hard-hitting rivalry; and the Top Prospect Tournament resumes! The two veterans battled to a stalemate early in the match before Sakai hit a TJ neckbreaker for a near fall and followed with a missile dropkick for another two count. After Sakai came up empty on a moonsault, Rayne capitalized and hit a tornado DDT for a near fall. Sakai came back with a fisherman buster for a near fall, but Rayne answered with a cutter out of nowhere. Sakai barely kicked out of. Feeling the title was within her grasp, Rayne charged across the ring at Sakai, but the champion ducked under Rayne and landed Smash Mouth for the victory. 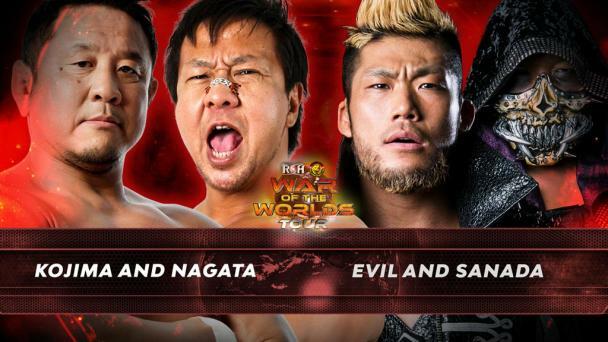 The next chapter in the rivalry between two of of ROH’s toughest competitors began with Woods charging across the ring as soon as the bell rang and connecting with a knee strike and a series of punches. Taylor halted Woods’ momentum by landing a forearm to the head that knocked Woods off the apron. Taylor proceeded to assault Woods outside the ring. Woods rebounded with a kick to the head and then applied a cross armbreaker. While Taylor was trapped in the submission hold, Woods removed the MMA glove from Taylor’s right hand. Woods’ belief that the glove was loaded proved correct, as there was a foreign object inside it. The referee rightfully was going to call for the bell and award the bout to Woods by disqualification, but Woods implored him not to because he wanted to pin Taylor or make him tap. The referee allowed the match to continue. Woods’ desire to score a convincing win over Taylor proved to be his undoing, as Taylor nailed him in the back of the head with his gloved left hand and then followed with a 216 sit-out piledriver for the victory. In a backstage segment with SoCal Uncensored (Christopher Daniels, Frankie Kazarian and Scorpio Sky), Daniels said that he fired the warning shot at the Briscoes at Best in the World, but since then they’ve attacked him with chairs twice. He said he’s still standing and he's coming for them. Kazarian said Sandy Fork, Del., is the worst town he’s ever been in, and next week he’s going to thrash Mark Briscoe when they meet in a singles match. A few minutes into the match, Jeff Cobb stormed to the ring and attacked both competitors, just as he had done during another TPT match two weeks ago. The powerhouse violently tossed Zanders and Kross around the ring with ease. Eli Isom, one of the men Cobb had attacked previously, entered the ring and nailed Cobb with a series of forearms, but they had no effect. Cobb laid out Isom with his Tour of the Islands powerslam. Beretta, who had been out of action since suffering a torn triceps last February, made his return at Honor for All in Nashville in July when he saved Chuckie T from an attack by Bully Ray. This match against Bully and Young is Beretta’s first since being medically cleared to compete. 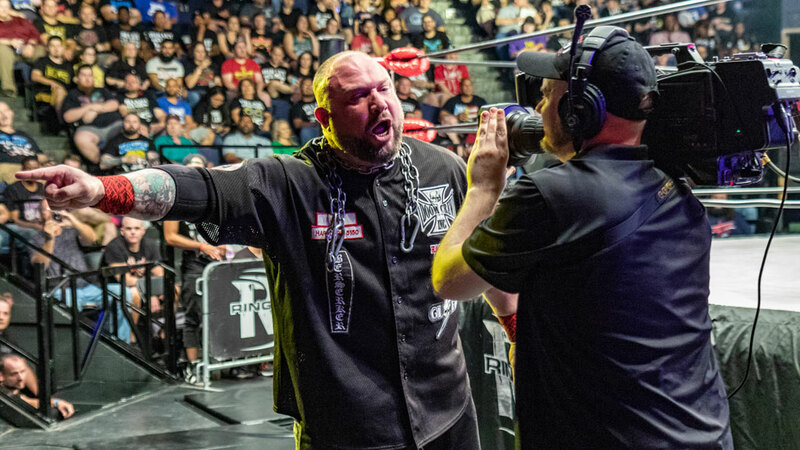 Before the start of the match, Bully Ray took the time to berate ROH commentators Colt Cabana, Ian Riccaboni and Caprice Coleman at ringside, with most of his vitriol directed at Cabana. Once the match was underway, Beretta got the better of Young, promoting Bully to demand that Young tag him in. After receiving the tag, Bully immediately targeted Beretta’s surgically repaired left triceps. Bully and Young isolated Beretta and punished him until Beretta landed a tornado DDT and tagged in Chuckie T, who hit Falcon Arrow on Young for a near fall and then landed the move again, but he still couldn’t put Young away. Best Friends hit a lawn-dart cutter on Young. They hugged, but Bully ruined the moment by double-clotheslining them. Bully screamed at Young to tag him, but when Young extended his hand to do so, Bully dropped off the apron and headed up the aisle. 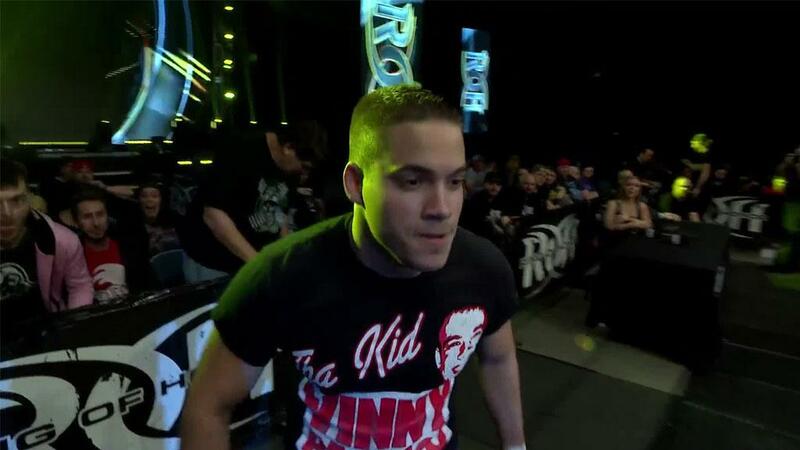 Bully screamed at Young from the ramp that he’s going to learn a lesson and is not the man he used to be. Best Friends took advantage of a distracted Young and hit Dudebuster for the win.